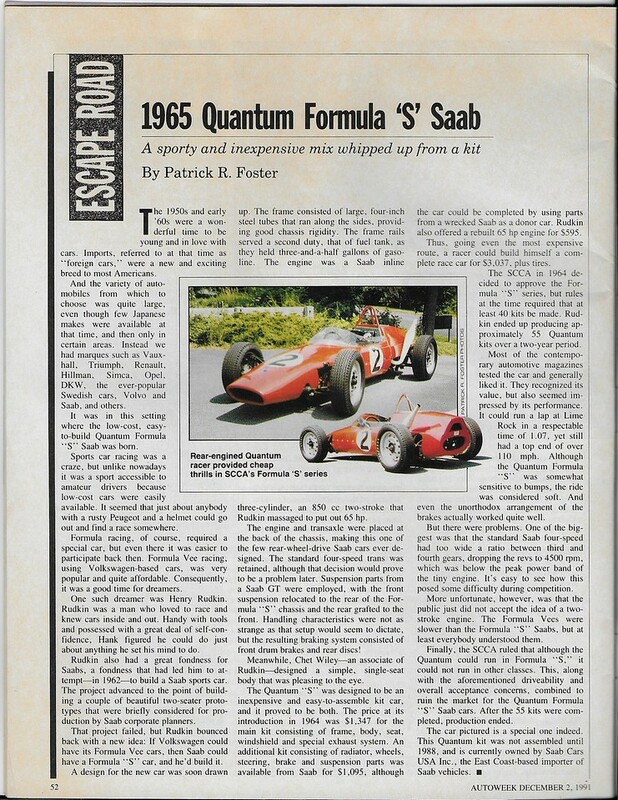 This is the Formula S registry, for the Formula S kits built by the Quantum Motorcars Company in the early 1960's. After a long hiatus forced upon me by the necessity of upgrading the site software, FormulaSAAB.com is back online! This short film comes to us thanks to Dwight Egolf, the owner and driver of the car at that time. I believe the film is from 1973 and the Pagoda Hillclimb in Reading Pennsylvania.